Of all of the reasons we save and invest retirement is the most important. You may have other short term goals but in the end some day you will want to - or be forced to retire. I could write a book about retirement but I only have space for the basics and how to get started. A retirement plan is all about saving but you also need to know how and why it works. Your employer takes money from your paycheck and puts it in an investment account for you. This money is pre-tax meaning that any money you put into your retirement is taken out and goes into your investment account before state and federal income taxes are assessed on the rest of your paycheck. This is important because your retirement money is tax free when you put it in and works for you tax free until you withdraw it. Unless you are in a really low tax bracket, a tax break right now is better than a tax break in 30 years. So how much should you put into your retirement plan per year? Your employer may match the money you put in up to a percentage of your pay. For instance they may match up to 3% of your salary. So if you put in 3% they put in 3%. Always put in at least the match into your retirement plan. That’s a 100% return on your money instantly. It’s free money. But you really need to be saving at least 10% of you gross pay per year. And you need to start now. The worst mistake people make is not saving at all. The second is not saving enough. 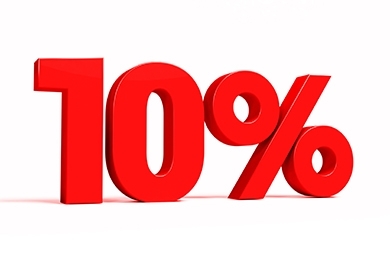 Ten percent may seem like a lot but that is what it takes. Most Americans are not irresponsible. But many have massive bills, kids and other priorities and before they know it they are way behind on saving. Some, it seems are just too busy to save. If you can’t do 10% at least do something. So you have decided to invest, now you are confronted with a list of investments your plan offers and you have to make a decision. There may be 10 or there may be 70 different choices. You just need to pick one to get started. Do not choose an investment because the name sounds good or because it has four stars or because it did really well last year. You need to be investing for the long term with retirement money. Most people don’t really know how wealth is created in this country. Compound growth over a long period of time is the key. Picking investments and trading in and out of this and that is not how money is made long term. You have a variety of choices in your retirement plan. In the beginning you need to invest in one choice with solid long term growth. People have trouble with the long term concept. Your retirement is a long way off. Does what is happening in the world today have anything to do with how much money you will have in 30 years when you retire? No. People that were around 30 years ago have to really think to remember how bad things were then. Interest rates were 9%, unemployment was 7%. In 1987 the stock market fell 22% in one day. The point is that what is happening today really doesn’t have anything to do with how much money you will have in 30 years if you are saving for retirement. So out of all of the investment choices you have it makes sense to choose an investment that has solid long term growth. There are basically two kinds of investments, lending assets and ownership assets. Just like the name implies ownership assets you own. For example with stocks you own part of a company and with real estate you own property. You only get real growth when you own something. Lending assets are investments where you loan money to someone and you get a return. If you lend $1,000 you get interest and $1,000 back, $1,000 is always $1,000. Especially with todays low interest rates you get no real growth, just a little interest. Over 30 years you might expect a return of 3% on lending assets and 9% on ownership assets. If you save $5,000 a year for 30 years at 3% you would have $237,000. But if you save the same amount and get 9% you would have $681,000 over the same time. So compounding over time is how you create wealth and the higher the compounding rate the more retirement savings you will have. This means you must own stocks. When you are getting started choose one diversified stock fund like an S&P 500 index fund or a Total Market index fund and don’t ever sell. Don’t try and time the market or switch between investments. Just keep contributing to the plan every month and let compounding work for you.